Figure 57. Dittmar device for extracting gases from sea water. 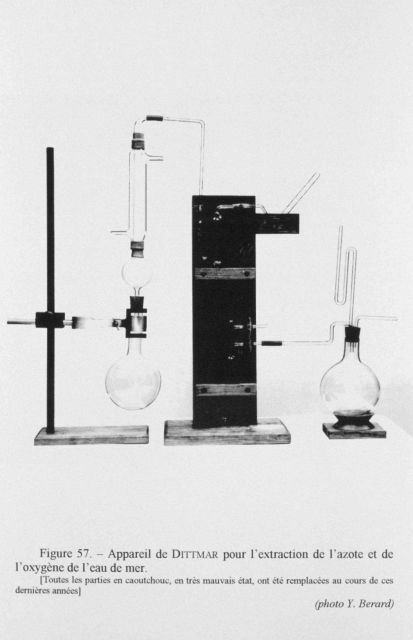 This device was described by the British professor William Dittmar of Anderson’s College in Glasgow. He used it to analyze sea water sampled during the CHALLENGER expedition. It complemented the use of the Jacobsen apparatus used by John Y. Buchanan during the CHALLENGER expedition.